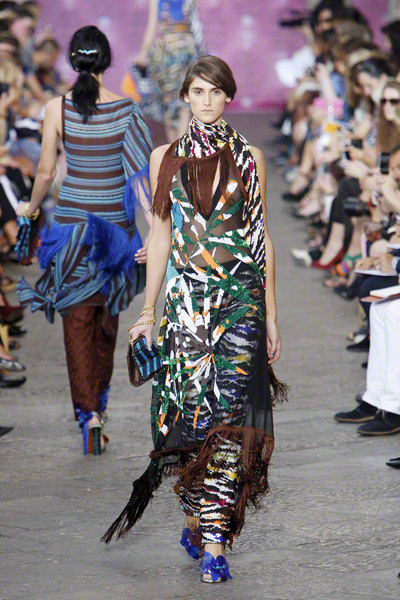 There’s no denying Missoni’s popularity. 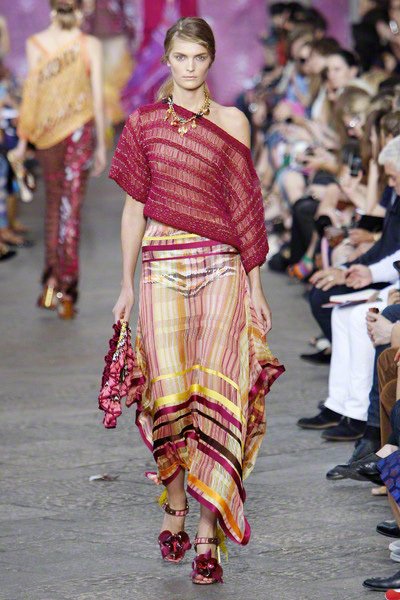 The immediate sell out of the Missoni x Target collection sure proved that. 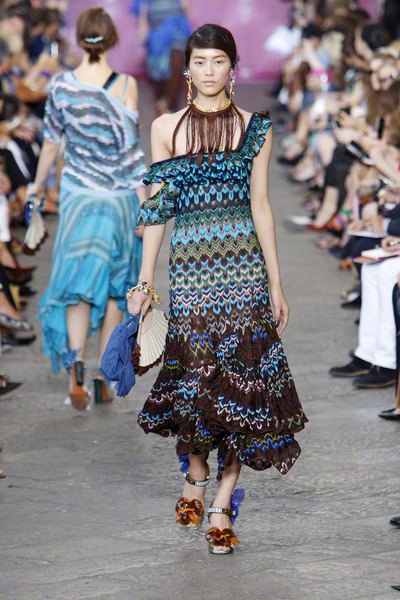 But as wearable and recognizable that more affordable line was, as unexpected was today’s spring collection. 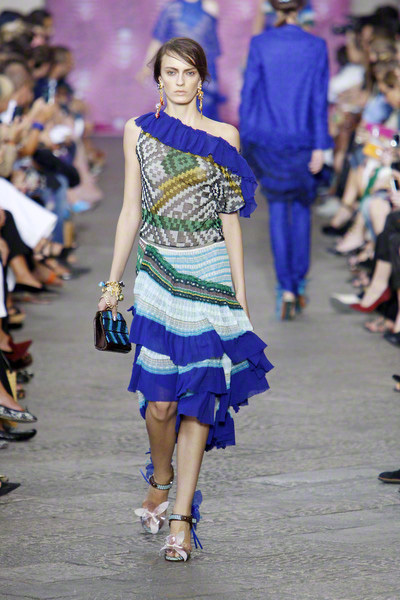 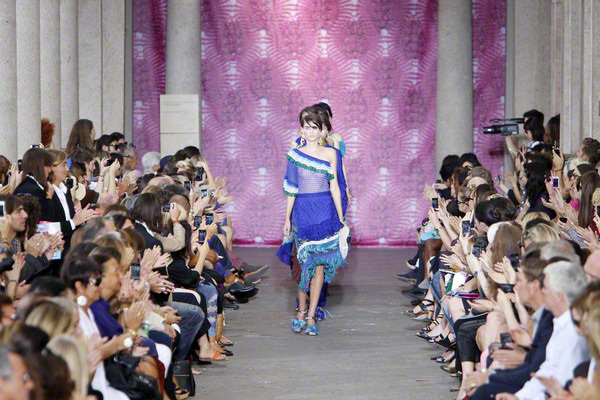 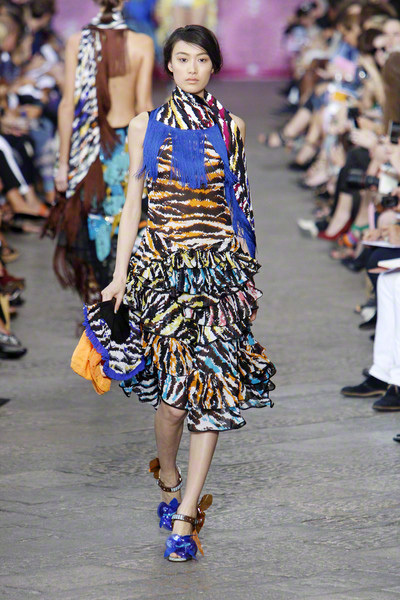 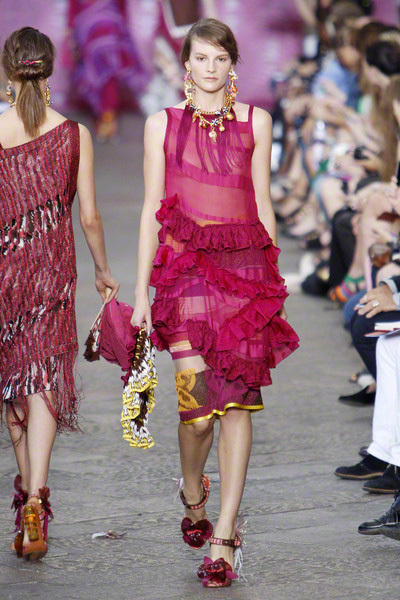 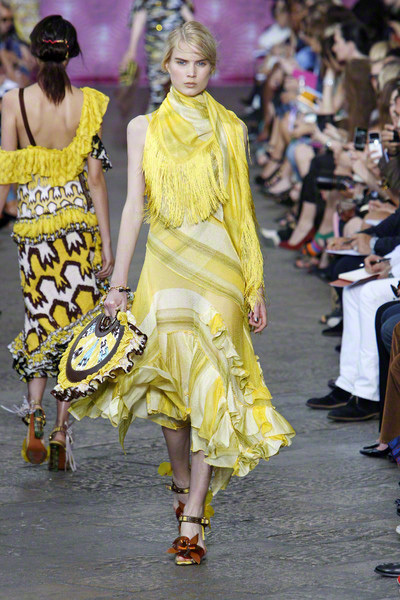 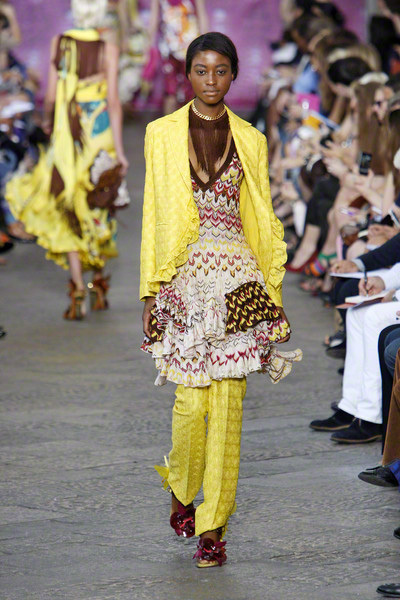 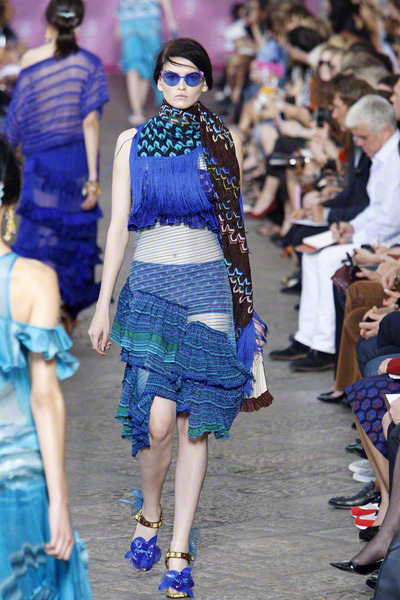 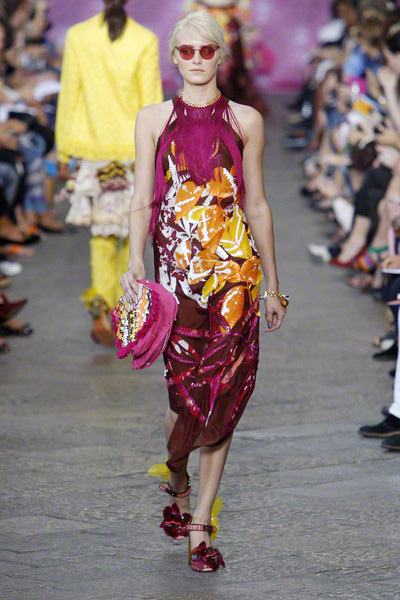 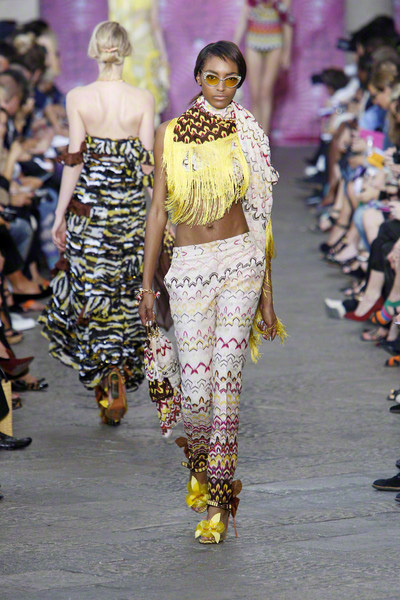 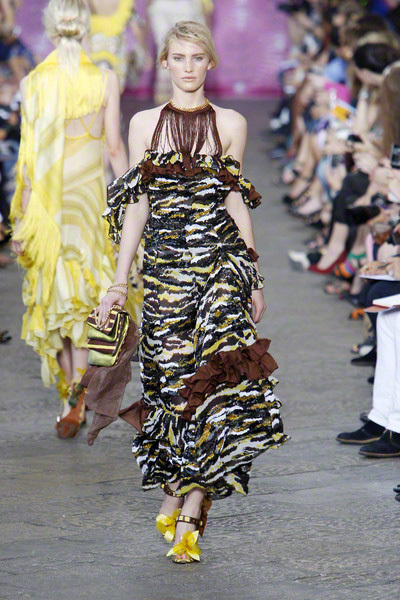 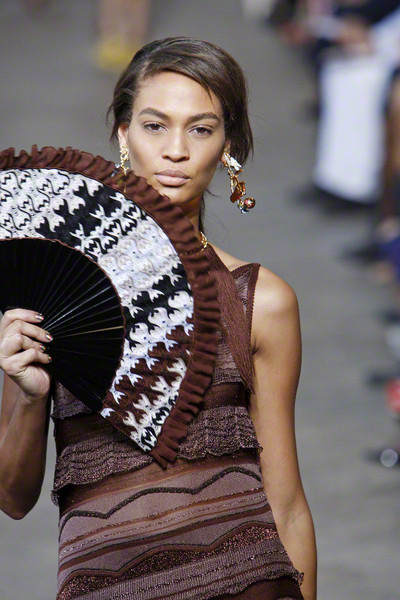 Here too, models looked like gypsy women parading on the runway in colorful, layered designs with lots of jewelry. 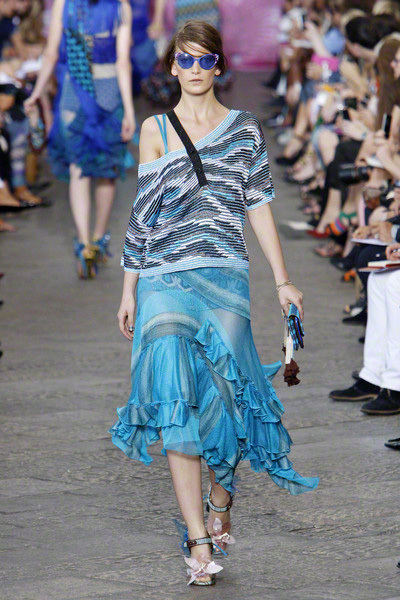 Tops and dresses were mostly off shoulder and the layered bottoms often had extravagant ruffles on them. 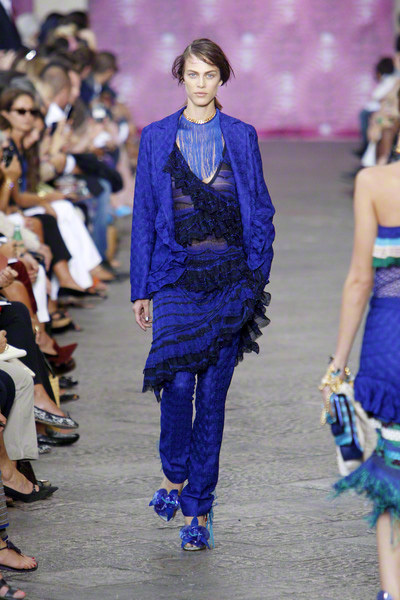 Fringes and sheer mesh pieces made it hard to picture everyday women in these outfits. 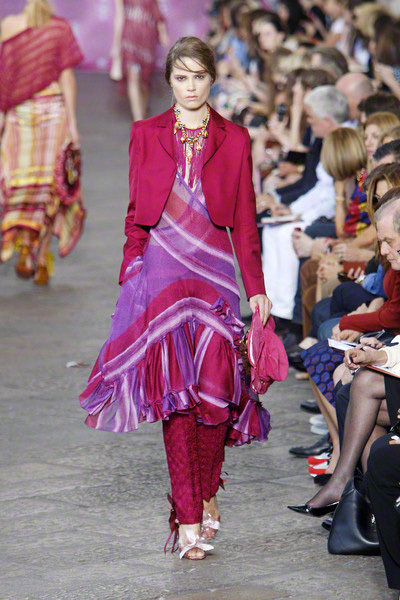 And even though the color palette (purple, blue, yellow, chocolate, pink) was quite lovely, the asymmetric looks didn’t translate very well. 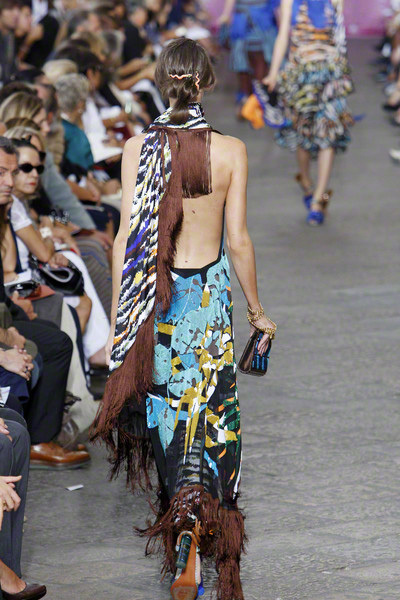 There was just too much going on. 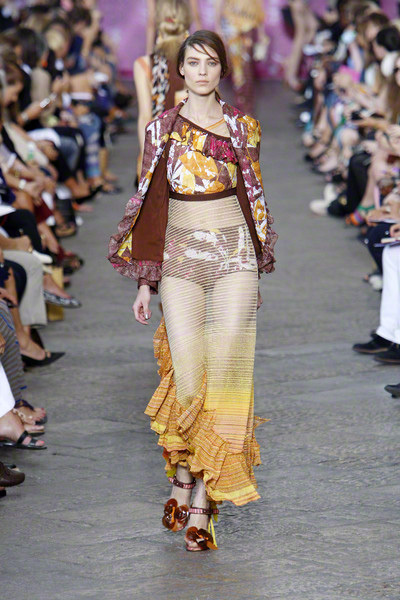 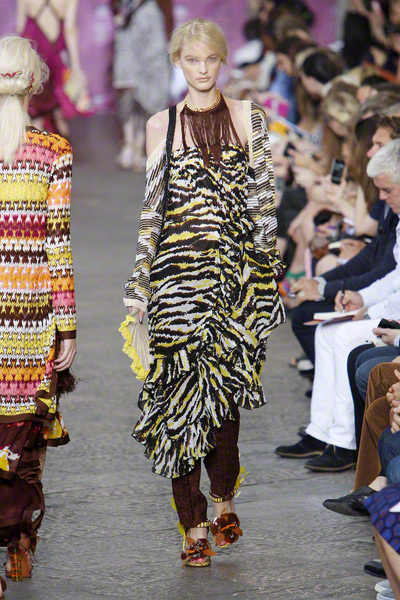 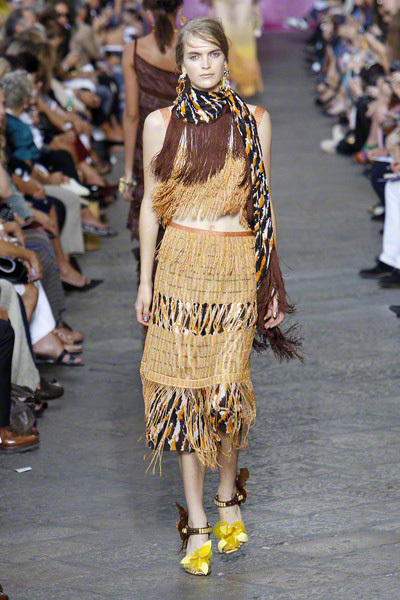 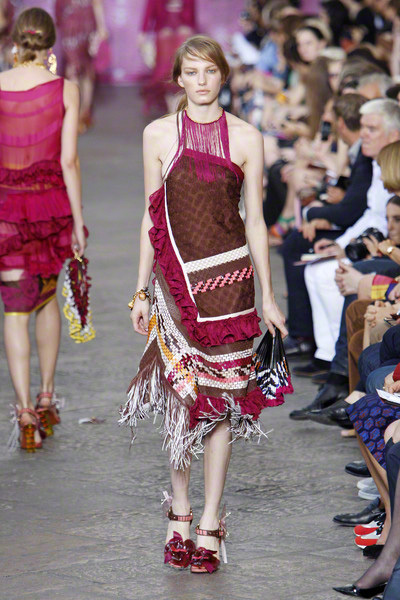 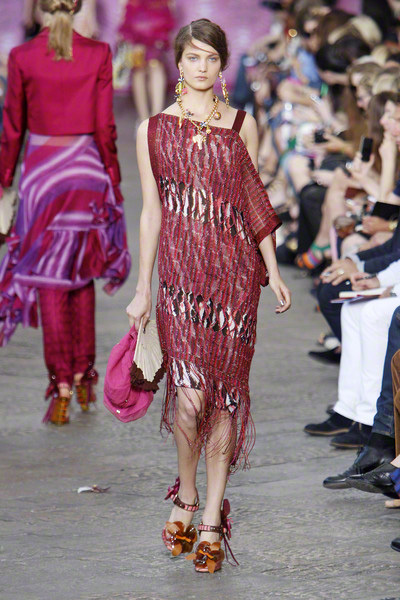 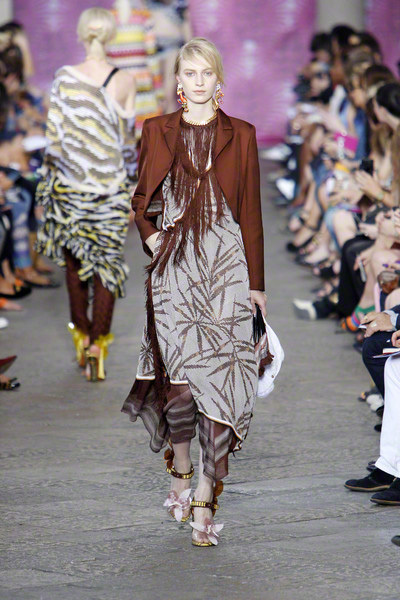 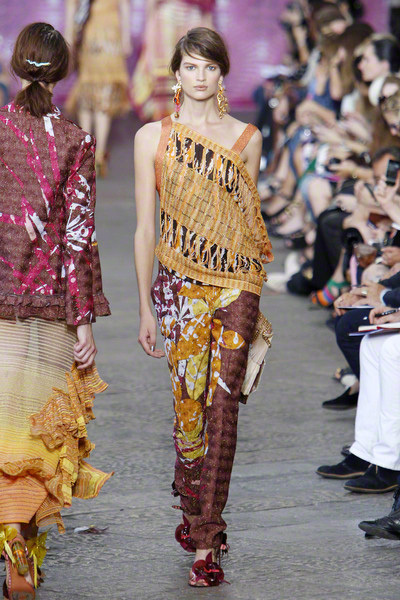 Perhaps Angela Missoni got carried away by the big success of the past few months. 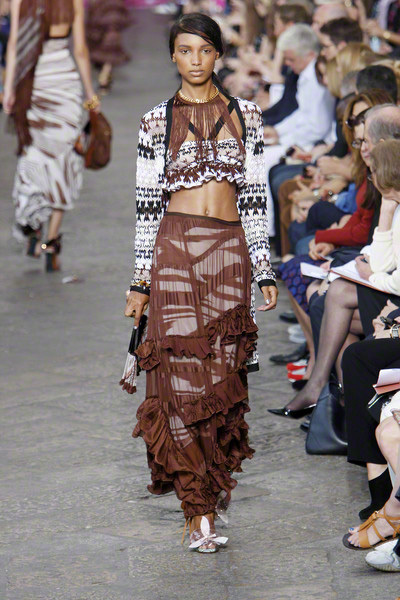 At least she felt good about the collection, made for the “happy girl, full of life”.